Summer is officially underway in CLE and it definitely feels like summer: hot and humid. Yep, just like summer. To celebrate the start of summer (and Brian returning from a week away in Dallas, booo! 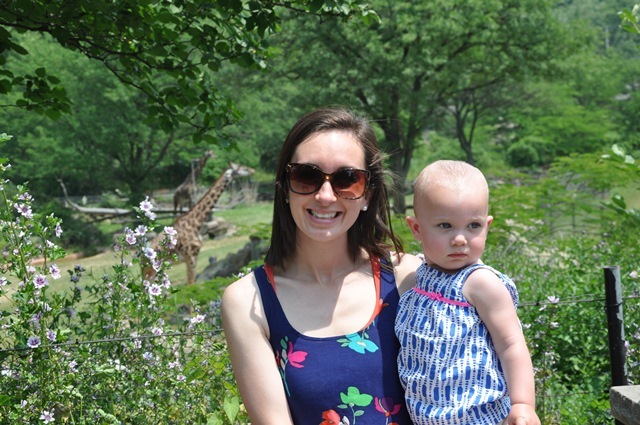 ), we took our first family trip to the zoo. 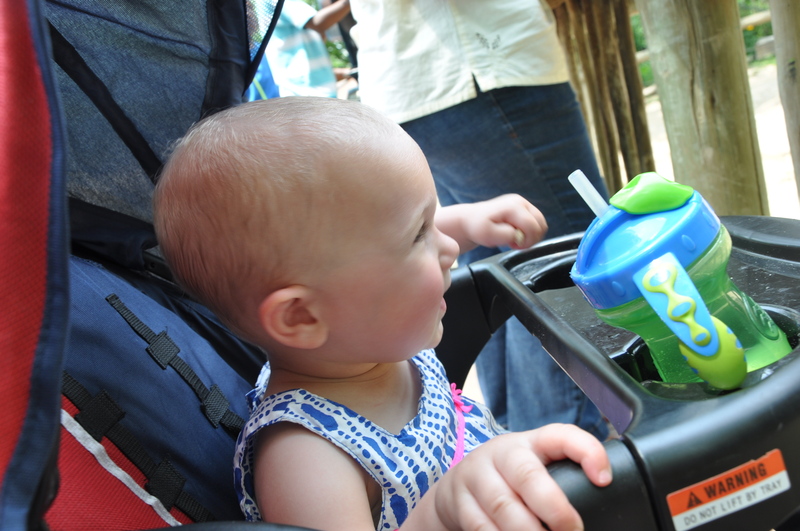 Although we didn’t get to see all of the animals, and some, including my favorite, the bears, were hiding in the shade, it was a lot of fun. 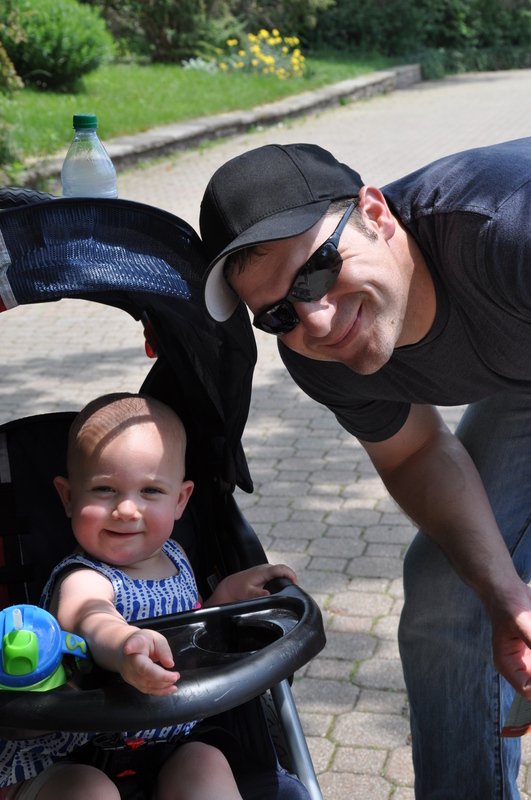 It’s true what people told me, that when you have a child, you live life again through their eyes, and this experience was definitely one of them. 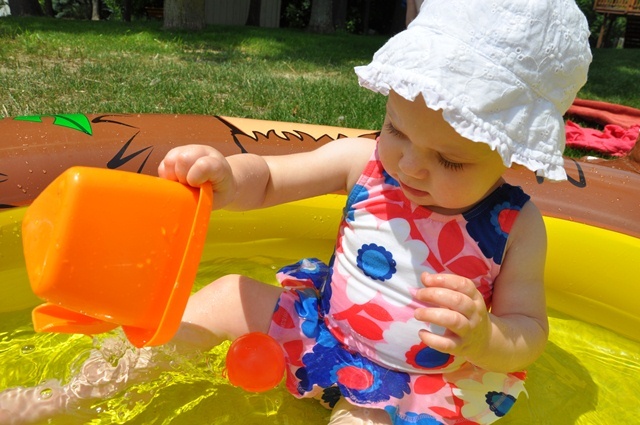 Sunday, we broke out the swimming pool, Bridget’s birthday present from Grams. Bridget has always enjoyed bath time so I was happy when she got right in and started playing. 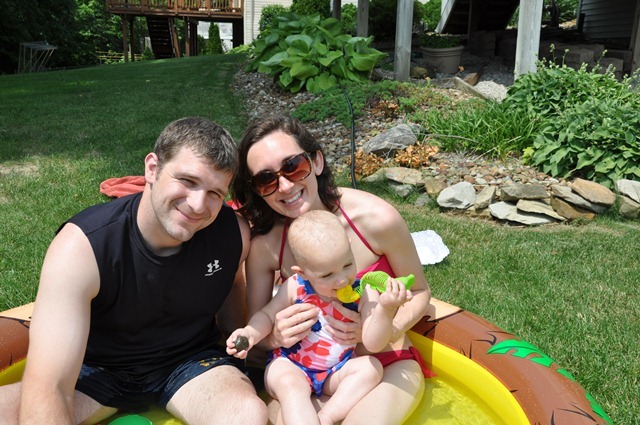 It made me even more excited for family vacation this summer where we’ll be spending a lot more time in the water. 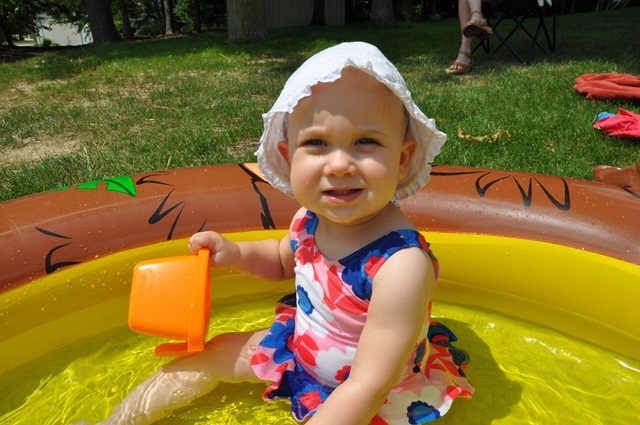 I also can’t get enough of her in this bathing suit, which was a gift from my Aunt Pattie who said (in her words), “Every baby girl must have a bathing suit from Nordstrom’s.” Right…. We are two days into summer and we have already accomplished more summer activities than we did all summer last year. 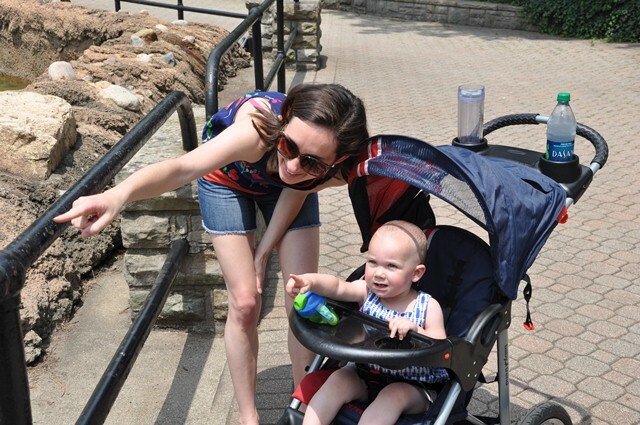 I wouldn’t trade those few months last summer indoors for anything in the world, but I’m learning that each phase of Bridget’s life brings something new and exciting, and I am trying to soak it all in–and hopefully some sunshine while we’re at it.